1. Download the packager and open it. Accept any warning messages, then review and accept the terms and conditions to install the app. 2. Login using your Mobicip account. If you do not have an account, create one now for free! 3. You should see a list of users on the Mac. Pick the one that you wish to setup parental controls for. 4. 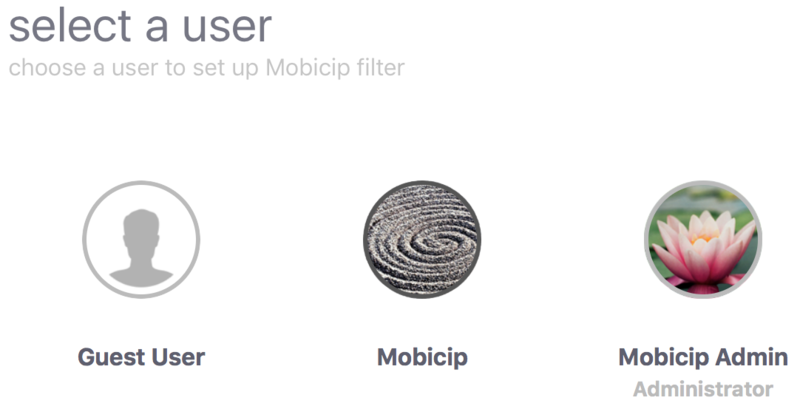 Select the Mobicip filter profile that you wish to apply to this user and save your selection. 5. You will see the list of users again, with the one that is filtered marked as such. Repeat steps 3-5 for other users on the system. 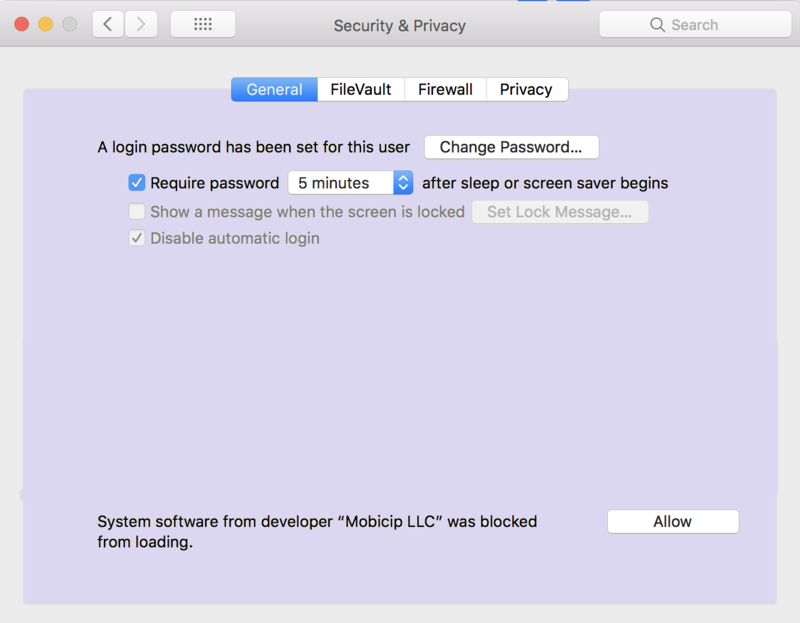 1) During Mobicip installation, System Preferences -> Security & Privacy -> General window will pop up. Here there will be an option for allowing Mobicip. 2) Admin/Parent can also click ''Fix'' button in the Notifier, it will navigate to the same window. Congratulations! 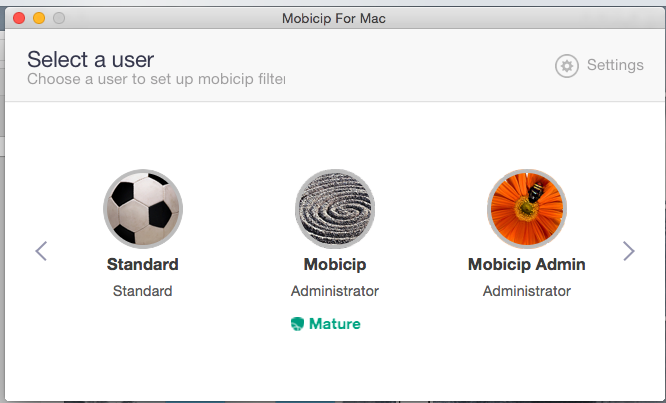 Your Mac is now setup with Mobicip's Internet filter. 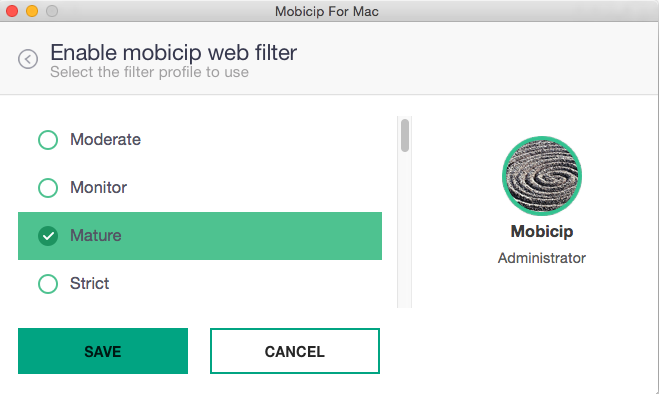 You can now login at mobicip.com from any computer (or use the Monitor app) to configure the filter and monitor the browsing activity. You may find these video tutorials helpful to setup your filtering and to monitor usage.